In order to make textiles for mattresses that are truly innovative, we have created a new yarn made up of many extremely fine filaments arranged in an irregular fashion to obtain a single, voluminous yarn. The air trapped between the fibres allows an excellent level thermal insulation. But not only. The micro-spaces between the filaments allow a high level of aeration and permeability to vapour. These are features that improve the level of hygiene of the textile. Lovely and natural to look at, soft and light to the touch, Aerlan gives of its best together with other yarns such as cotton and viscose. There is also a strengthened version with special additives to the polymer which is ideal for special hygiene needs as it ensures permanent antibacterial and anti-mite properties. This is a flame retardant textile that thanks to a modification made to the basis of the polymer, is able to maintain excellent fire retardant properties although it has a pleasing, natural look. This is a quality that has allowed us to pass severe tests such as the English EN597 – test 1 and 2 and CRIB 5. 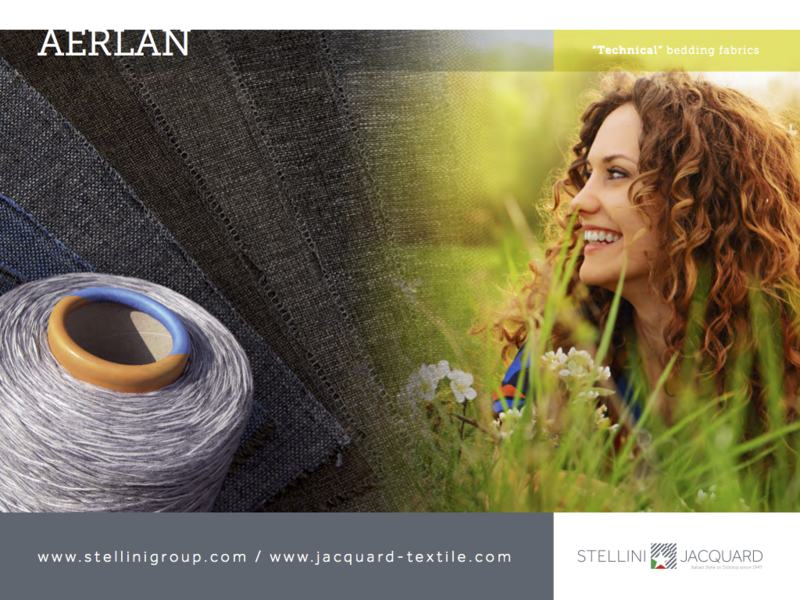 Thanks to the combination of Aerlan yarns of various sizes and colours we have created yarns for three dimensional textiles with excellent chromatic blends and nuances of great visual effect and impact.